Turbo trainer and accessories specialist Wahoo Fitness has announced an official partnership with former IRONMAN world record holder (Arizona, 2017) Lionel Sanders. 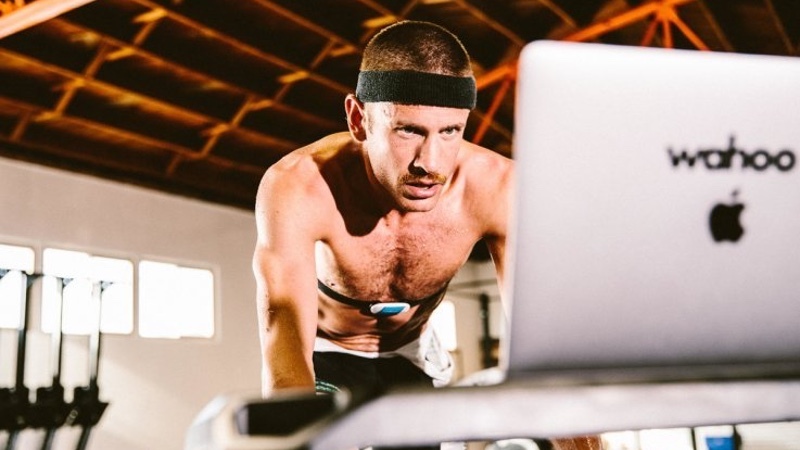 As a time trial specialist with numerous bike split records to his palmares, Wahoo notes that Sanders’ training methodology is unique in that the Canadian athlete conducts nearly all of his bike sessions on an indoor trainer. In a release, Wahoo notes that ‘given the connectivity, signature flywheel technology and realistic ride-feel of Wahoo’s category-leading KICKR Smart Trainer’, the company feels it is already well positioned to maximize and enhance Sanders’ performance as he seeks to surpass his second-place finish at Kona in 2017 by taking the top step on the podium this October. As an official partner, Wahoo’s KICKR trainer won’t be the only tool in Sanders’ training armoury. Wahoo will also be supplying the dual-band TICKR X Heart Rate Monitor, the customizable and aerodynamic ELEMNT BOLT GPS Cycling Computer, along with the new KICKR CLIMB Grade Simulator which complements the KICKR Smart Trainer, ‘adding realistic physical grade changes to trainer sessions’. This insight will help to ensure Wahoo’s product suite remains best-in-class for triathletes with the highest performance standards. Chip Hawkins, Wahoo Fitness CEO said, “Lionel Sanders has long been a huge inspiration to the Wahoo family, so it goes without saying how proud we are to now have him as a ‘Wahooligan’.